﻿ Hotel Stella, Cebu | FROM $17 - SAVE ON AGODA! Have a question for Hotel Stella? "Staff are very professional and accommodating." "Cheap and location is good"
"The place was great and very good customer service and facilities." "overall the entire stay was still great." 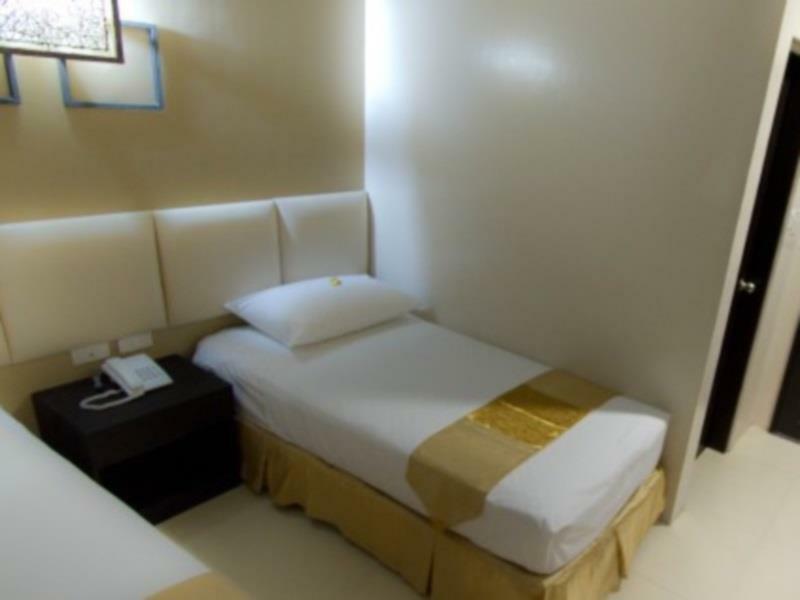 Conveniently located in the commercial area of Cebu, Hotel Stella offers one of the newest alternatives for a budget accommodation in this popular tourist city. At the property, guests are surrounded by a wealth of restaurants and shops, including the Robinsons Cybergate mall. Guests with a car will appreciate its easy access to the Ayala Center, SM Cebu, downtown, and Mactan Cebu International Airport which is under a one-hour drive away. 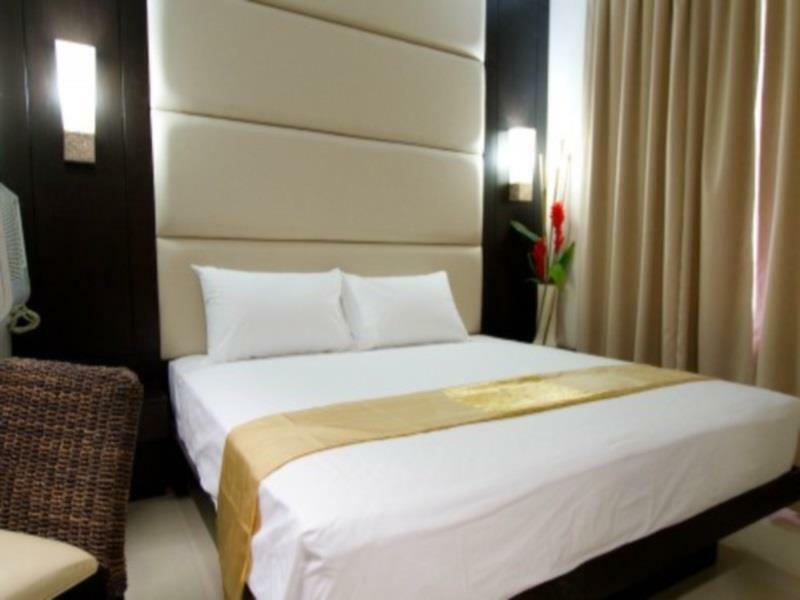 Each of the rooms at Hotel Stella is well-appointed with modern design and a full range of amenities to ensure a pleasant stay and provide the best value for money. "The location is perfect for your budget." The staff do their best to acommodate and solve issues. We got the ac changed because it was not working. We got a quiet room as requested. The staff are a bit noicy: Listening to music/tv/radio or whatever with open doors when they clean. Ok, when I asked to close door or cut off the noise, they did - every day... Not enough to say it once. It seamed to help when I made a prolongation and specifically asked for that on the order. The staff also use intercom, and that is WAY to loud, so you can hear when the reception tells something to someone on another floor - you can hear it even on the next floor too... Good sound isolation of doors and walls - but not enough to take the loud noise. Reception often plays some music, and it is not very loud, but the bass is so enhanced that you hear the bass and nothing else - very anoying. The hotel and room were surprisingly great for the price. They got a small room but it was clean and comfy. 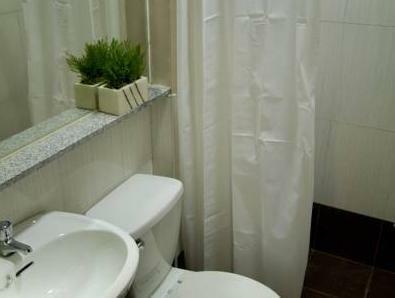 Great location since it's near malls, restaurants, pharmacy, and even hospitals. Staffs were accommodating as well. Wifi was okay. Overall, it was a great stay! The online booking was very helpful. Thank you, Agoda. I had to find 10 rooms for 20 people 2 days from the event. The hotel is easy to spot, has nice facilities. Point of improvements: food is okay, the aircon has to be left turned on to cool the whole room, the bed sheet is thin and you have to order a comforter but it's just cheap, the shower has heaters so that was nice but they didn't have bidets. I like the design of the hotel itself, mirrors everywhere making it slick and giving it a professional and minimalist design. Location was good but the hotel needs maintenance and improvement. Breakfast was okay. The room smelled and has mosquitoes. Huge mosquitoes. Toilet and bathroom facilities are old and dirty. When I checked out, I requested if I could leave a document at the front desk to be picked up by someone later that day. Staff refused as accordingly, they don't allow it. So much hassle so I did not insist. What I did not like most was that you have to request that your room be made up every single day and housekeeping is only from 3 pm until 5 pm. Will not be coming back here again. Arrived at the hotel at 12:00NN, the front desk told us to wait until 2PM. So I, with other guest waited. I was so tired and exhausted that time but they let us check in at 3PM. Very very late. No complimentary drinks were served. On the day of our check out, 10am, in the middle of my nap, they called us for a checkout reminder. Only 2 slots available for car parking, and its first come first served basis. Too bad when u come late. It isn't fancy but it is functional and comfortable. I stayed on the 5th floor at the front facing Osmena Boulevard and it was quiet, the bed was comfortable. The hotel is an easy walk to the local shops and handy to anywhere you might want to go. The WiFi in the rooms wasn't good but it was ok in the lobby. The rooms were small but they were clean. Costumer service was average. Location was very nice. Near the mall. Staff are very accommodating with my request. 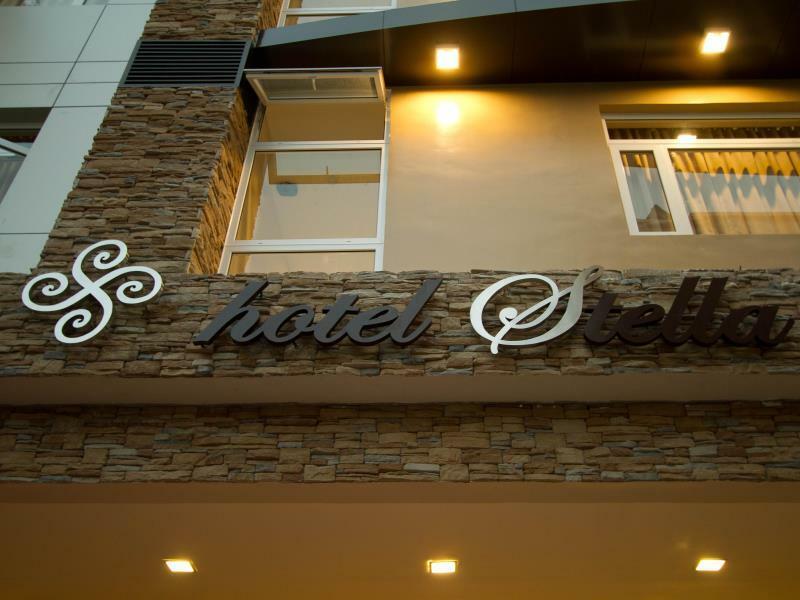 In 4 weeks to Cebu City again, and we plan to go to this hotel again. We extended for another night because we liked it there. We came here again,and we liked it,like before.